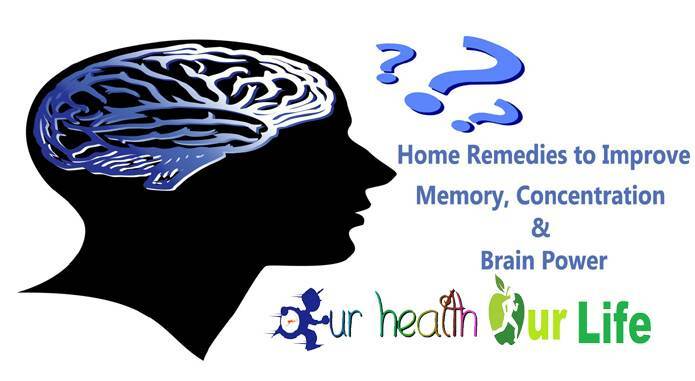 Here we are appeared some useful tips for boosting memory and caring for mind. We hope it will be help you to boosting memory and caring for your mind. So read on. If you notice you are losing memory, exercise your mind to try to stop the loss. The more active you keep intellectually, the better it will retain its quality of life. Its main features are: difficulty finding the right word in everyday speech, problems in bearings in the street or inconvenience to narrate the plot of a book or a movie. Try to make a normal life, always keeping their activities. To set and maintain attention: try to relate figures (photos or cuts) with experiences. To consolidate and evoke: try to link a new experience with another bygone, which functions as a trigger memories. Tell your friends and family your problem and ask for help. Try meet a schedule, have a routine. This will facilitate you will not forget what you have to do. Try to read every day for a while, the newspaper or a book, and then discuss it with someone, in this way will help you remember better what you have read. Do crossword puzzles that exercise thought. Make small calculations in everyday life. When watching TV or listening to the radio try to find cultural programs that will stimulate them intellectually. Repeat what you want to remember. Make lists either on paper or in the head. 1. Mental Gymnastics: Keep your brain “fit”! Keeping the mind active in everyday life prepares the brain to counteract the effects of aging and to cope with possible deterioration. Regardless of the work you do (at home or outside it) and regardless of your age or your level of schooling, try to keep your mind awake, do not let to despise. 2. Physical exercise: An excellent ally. Practice regularly active physical exercise (running, dancing, swimming or just strolling) appropriate to your health conditions and your age, it helps prevent not only obesity, arthritis, osteoporosis, heart disease, circulation, but also it helps maintain a healthy mind. Set aside at least half an hour every day to practice, no nothing standing, active exercise you choose. 3. Social Activity: The best way to actively participate in your world. Interested by the things that happen around you, in your neighborhood, in your municipality, in your community, in your country, in other distant and exotic countries in your world … It’s a way to actively participate in and be the / the main protagonist of your own existence. Looking friends, chat with your neighbor, dare to organize a party, attends conferences and shows she laughs. 4. Personal Recollection: Search your own company and face the stress. Unfortunately the world in which we live is a permanent source of stress of anxiety, frustration and deteriorating physical and mental health. Even knowing this, it is often impossible to modify the environment to stop harassing the enemy. Claim a time of intimacy in which to meditate, relax or simply “disconnect”. You’re on your right! 5. Banish bad habits is never too late to quit smoking. 6. Adequate Food: Nutrition is a key element to preserve the health of body and mind. Diet is a source of both health and disease depending on what ingredients are composing it. An unbalanced diet also affects the health of our brain. Learn what we mean by a “healthy and balanced diet” and put it into practice in your home. You will benefit you and your whole family will benefit. So you will help to promote health. 7. Controlling risk factors: It is essential to control cardiovascular risk factors and cerebrovascular. High blood pressure, increased cholesterol and high blood sugar are three great traitors who, quietly and slyly contribute mercilessly physical and mental deterioration. periodically checks your blood pressure levels and your cholesterol and blood sugar. 8. Do not make the ostrich: Pretender remove a problem ignoring him, not facing it, does not help, aggravates. In any case, this ostrich strategy -the only serves to make the problem grow up a time that no longer has a solution. If you notice that your mind is not what it was, or that one of your family begins to have memory problems, or your lifestyle is not healthy or noxious your habits are so ingrained that it is difficult to banish, consider advice. Look for the root of the problem and face it. Be able to trust your primary care physician in your specialist or qualified nurses (DUE), it is a key to care for and protect your health and to adequately meet the treatments you may need you and your family member. Sometimes, for various reasons (excessive workload, lack of physical media, lack of professional incentives) the health professionals may not give the best of themselves, if they so would want and could do so (if their working conditions would improve). Claim the institutions your right to choose excellent health professionals. Associations of Relatives of Alzheimer develop programs enthusiastically about this disease and how to deal with its consequences. They claim that great social needs, for example, that there are enough day centers, home-helps etc. are covered … Although none of your loved one has contracted the disease, and a fortiori if he did, join an association and be an active part in the fight against Alzheimer’s and other dementias and at the same time, can take advantage of great support.